We are not doing this project because we have it [motherhood] figured out, or because we are doing it unbelievably well. We are launching the Mama Manifesto because we need tools ourselves and because we recognize that together we are much stronger than we are on our own. We need help. We need resources. We need courage. We need inspiration. We need each other. 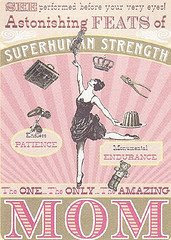 We are real moms and we are in the trenches just like you. We are committed to being authentic and sharing our struggles and motherhood journeys. We want this blog to be a place where you can come and find nap-sized morsels that make you laugh, make you think, and make you feel inspired and understood. You ladies are on fire! What a gift to the world. From dream to reality, you inspire.